A combination of global risk sentiment and counter currency action dragged the Greenback down to the very bottom of the forex pile last week. Can it still recover this time? 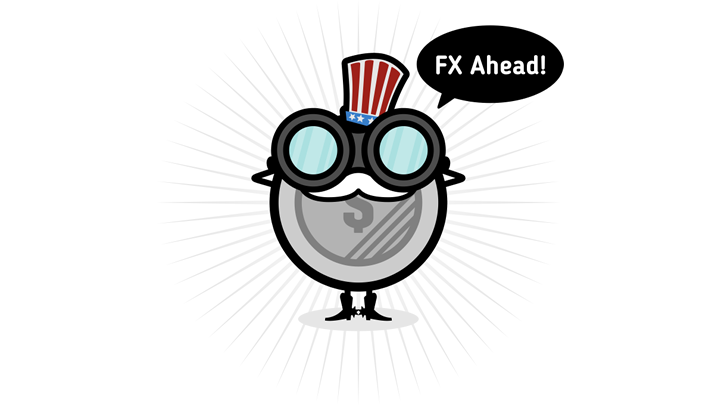 We’ve got the FOMC statement and presser coming up this week, so the focus could return to tightening expectations. Oh, and the NFP report is up for release, too! Read more. The Loonie put up a pretty good fight for the past week but was still under heavy pressure from risk aversion on account of trade tensions. This time, more or less the same themes could be in play since the only major report from Canada its its monthly GDP due on Thursday. Read more. Mostly downbeat PMI readings from top euro zone economies, followed a cautious ECB statement that featured economic downgrades, weighed heavily on the shared currency last week. The region’s flash GDP and CPI readings are lined up this time, possibly giving more weight to the central bank’s downbeat outlook. Read more. Hopes for a soft Brexit, along with upbeat U.K. data, lifted the pound to the top spot for the previous week. With more Brexit episodes lined up in the days ahead, can sterling stay afloat? The House of Commons is set to vote on Plan B on Tuesday, which might set the tone for another round of negotiations or extending Article 50. Read more. The Japanese yen was off to a running start on risk-off flows but sentiment turned mid-week and forced the currency to return its winnings. It didn’t help that the BOJ wasn’t feeling too chipper either. Only low-tier reports are due from Japan this week, but that doesn’t mean yen pairs are in for a boring one! Major swings in sentiment tend to do a number on these guys, so make sure you keep tabs on events that could spur changes. Read more. The Aussie had another one of its mixed runs as trade tensions pushed it around while surprise news from the NAB spurred big moves. Australia’s CPI is up for release early this week, but it seems that sentiment might still be in the driver’s seat. What’s cookin’ between the U.S. and China these days anyway? Read more. Despite a relatively light schedule in the previous week, the Kiwi managed to have a strong showing as it climbed to the top two spot thanks to upbeat CPI. The trade balance is the only piece of economic data due from New Zealand this time, and this isn’t expected to cause huge waves. With that, market sentiment could once again take control. Read more. First up is this long-term descending channel setup on the daily time frame of Guppy. Price recently busted through the mid-channel area of interest and is setting its sights on the very top around the 146.00 major psychological mark. Stochastic is already indicating overbought conditions or that sellers are exhausted and may let buyers take over. If you’re a short-term trader, you might this yen pair setup better. 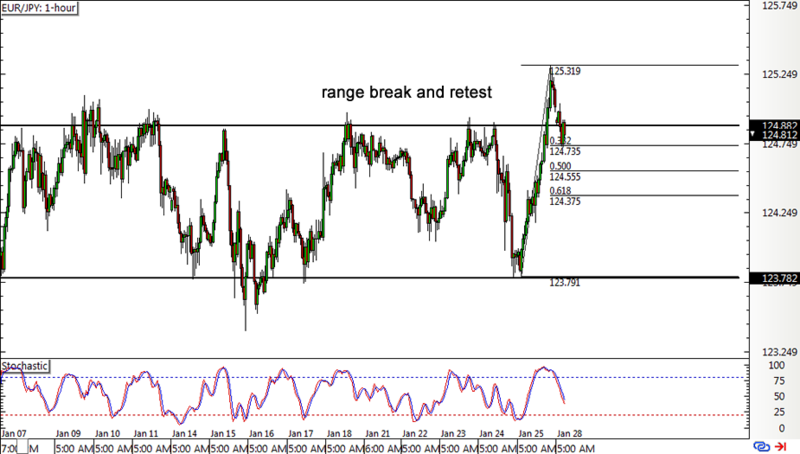 EUR/JPY just broke through the top of its range visible on the 1-hour time frame but is pulling back for a retest. The 38.2% Fib level seems to be holding as support for the time being, but stochastic is suggesting that a deeper pullback to the next Fibs might be possible. 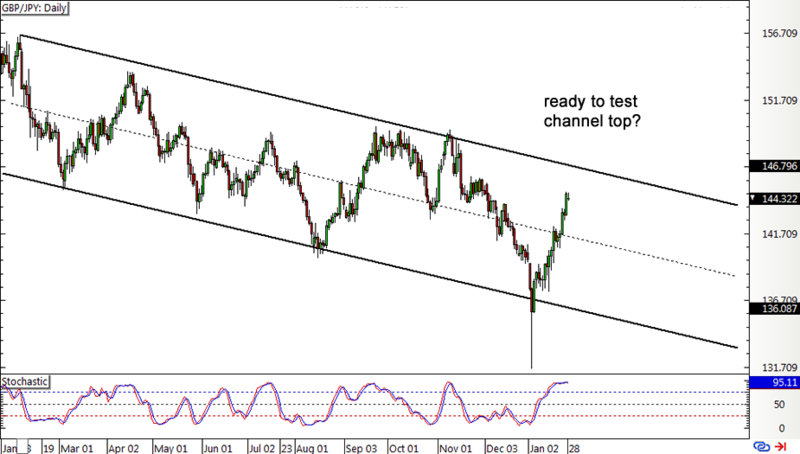 This pair is also forming a trend with its higher lows and higher highs inside a fresh ascending channel. 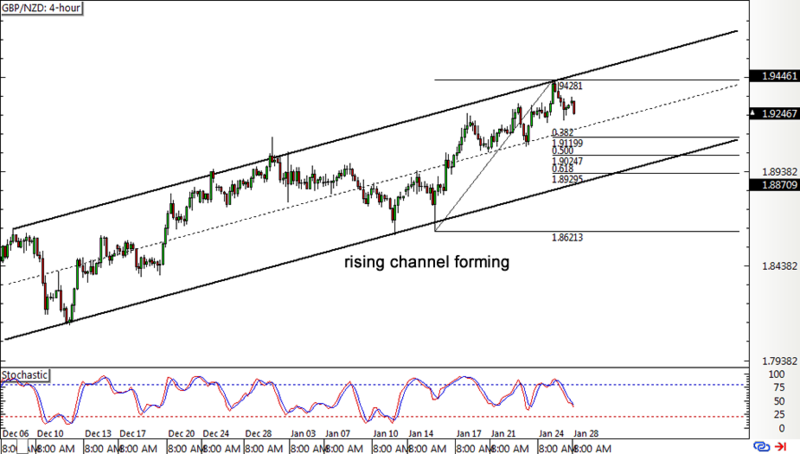 Price is currently bouncing off resistance and stochastic is heading down so a retracement could be due, particularly until the 61.8% Fib that lines up with the channel bottom.